The course starts at 10:00 a.m. or 12:00 a. m. daily from April to October. Classes are limited to 6 people, but more instructors are available if larger groups book. No previous watersports experience is required. You must be able to swim at least 15 minutes in deep water and have no health restrictions. With only one course participant, each course lesson is calculated twice. For later cancellations, there is no compensation. On rare occasions, the course may need to be postponed due to bad weather. In these circumstances, we will offer you alternative dates or we will refund you 100% of the paid amount. You may know what a sailboat looks like, but do you know how it works? 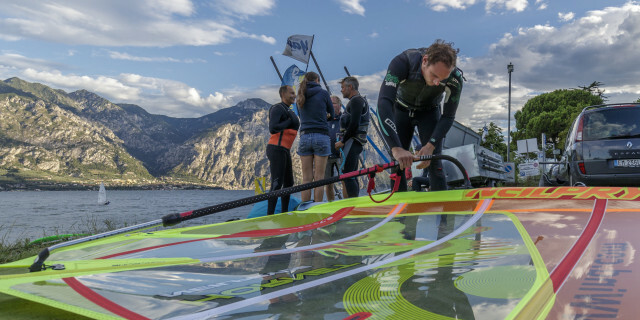 In this 2-hour course, get hands-on experience sailing your own boat along the blue waters of Italy’s Lake Garda. You begin the course at the school in Malcesine, a medieval town location located on the eastern side of the lake. There you meet your friendly instructor and receive your equipment. The lesson begins on land as your instructor teaches the fundamentals of catching the wind, steering, and more. Then, you get in your neoprene and life jacket and head to the water for the real test. Classes are kept to only six people to ensure you receive tailored training from the instructor. 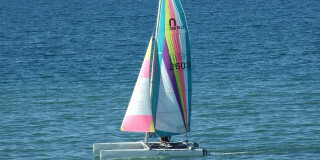 Families are welcome to take the course together, as there are smaller boats available for kids as young as 9 years old. After you become an expert sailor, the school’s private beach offers a relaxing space to take in the mountainous surroundings. 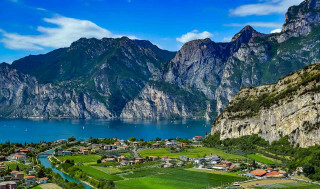 Lake Garda sits in the Southern Limestone Alps in northern Italy. 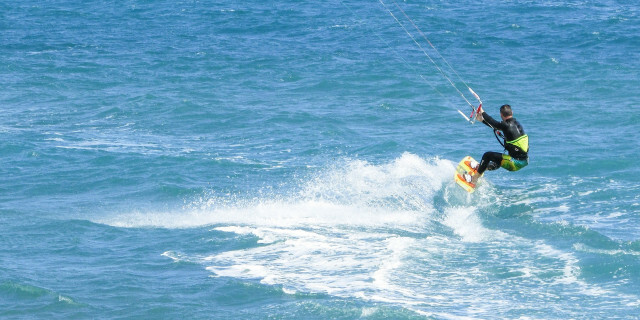 The combination of wind and high peaks makes the area a haven for watersports enthusiasts. The excellent water conditions and incredible views create a memorable setting for learning and practicing activities of all kinds. 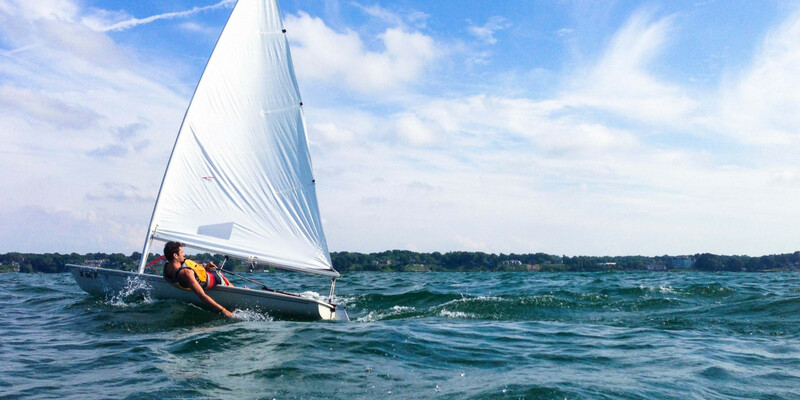 Learn how to hoist sails and catch the wind with this sailing course. 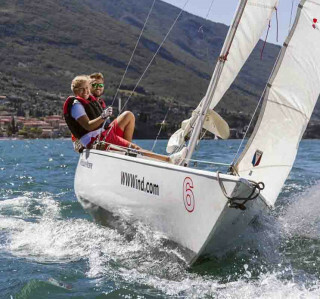 You’ll get a taste of life as a sailor and the fresh Lake Garda air.